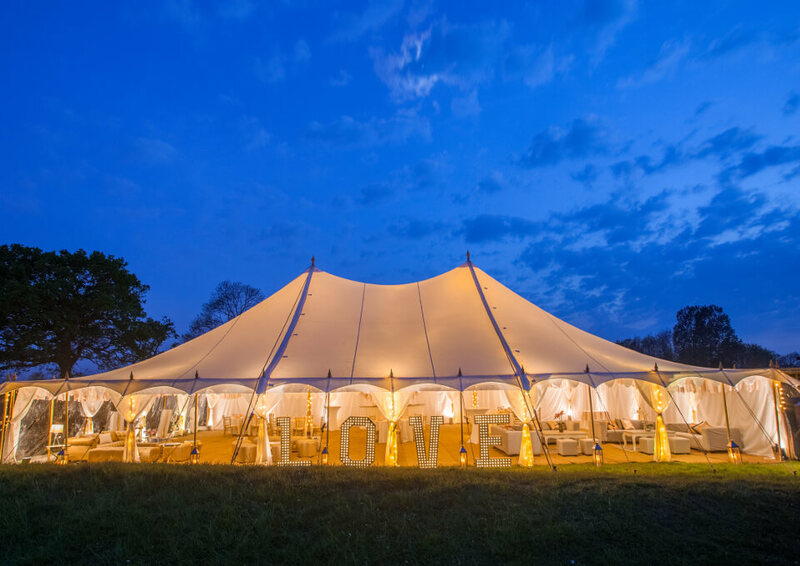 The Oyster Pearl Tent is an elegant bohemian tent in white canvas that has a modular design extending to five sizes from 12m x 12m, to 12m x 36m. 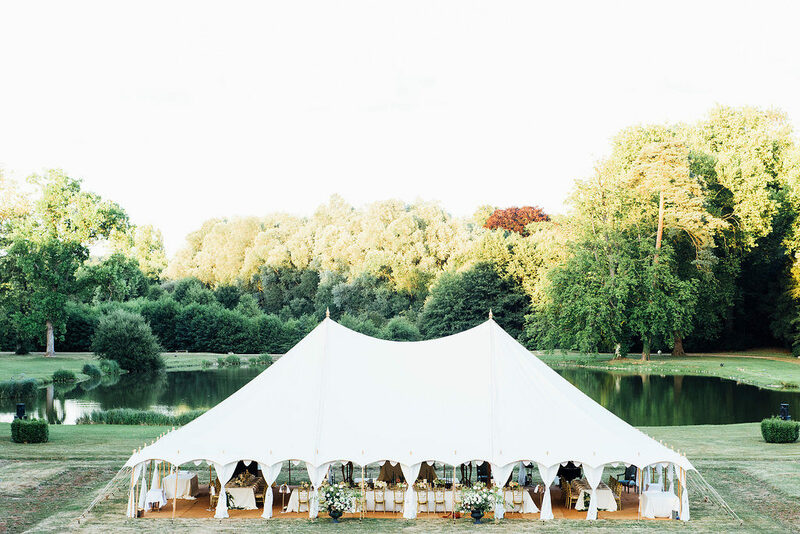 This unique tent can be either used in conjunction with the other Pearl tents as a ceremony area or reception tent for larger events or as a stand-alone wedding reception tent accommodating dining, dancing and lounge seating for up to 300 guests. 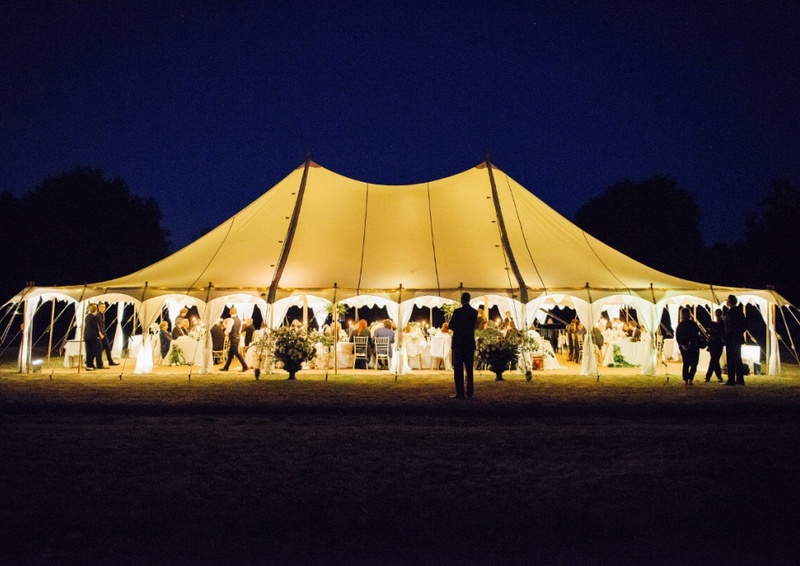 These unique marquees are extremely popular as wedding tents as the trend for dining under canvas continues, however this tipi style tent is also been used for summer garden parties and corporate functions, and are made in the UK from the finest white canvas. Each component is made of natural materials – wood, hempex rope and cotton canvas – using the highest quality materials, adhering to British safety standards and withstanding British weather and winds of up to 50mph. They are both waterproof and fire-proof. The Oyster Pearl requires an additional 4m around the perimeter to be able to erect it (so for the 12m x 12m version, 16m x 16m is required) and increases in size in 6m increments. It should also be noted that the Ampio and Picco extensions are not possible with this structure as it is a stand-alone tent. 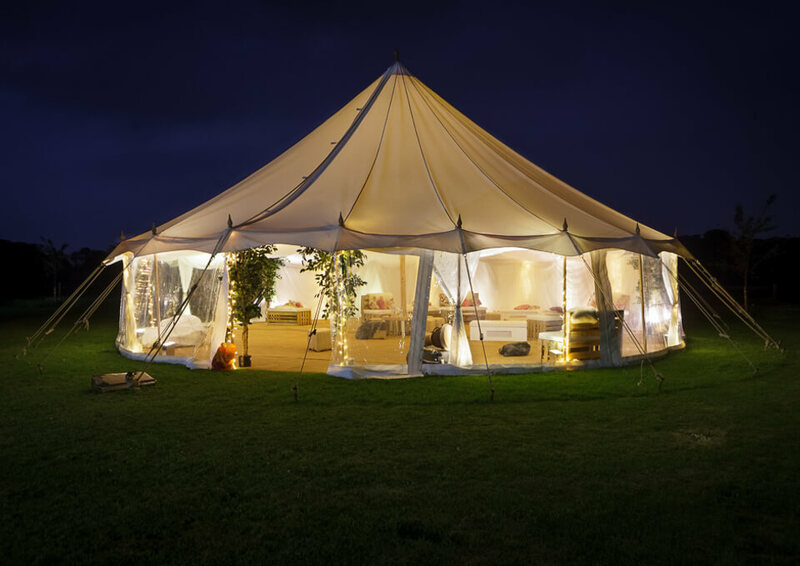 However it is possible to connect other tents to this tent through smaller connecting ‘baffle’ tents if you require other ‘rooms’ within your event. 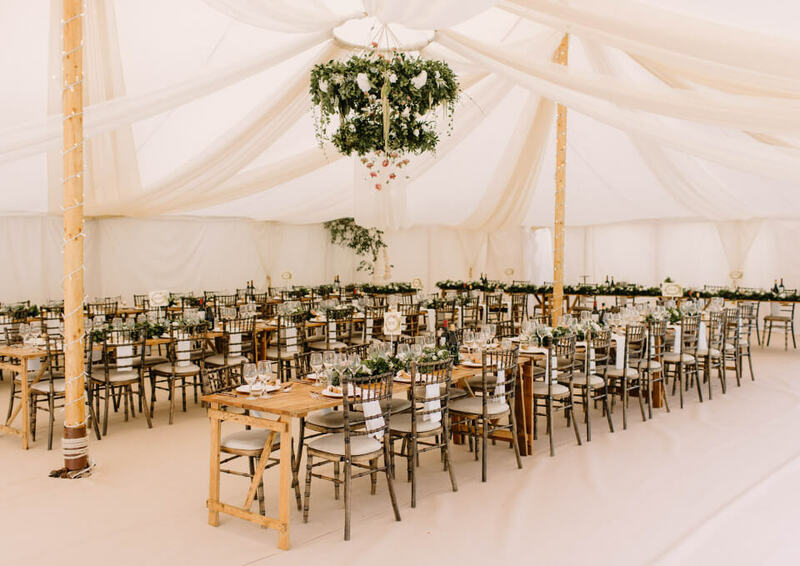 Our team of skilfull perfectionists build and dismantle the marquees, aiming to minimise the impact to your venue site, paying close attention to detail each time. Build-time required for this structure is between one and two days depending on the complexity of the equipment, and when calculating the space, it requires an additional 4m of external room to take into consideration the guide ropes and stake line. Build-time required – one to two days dependant on complexity of internal furnishings.